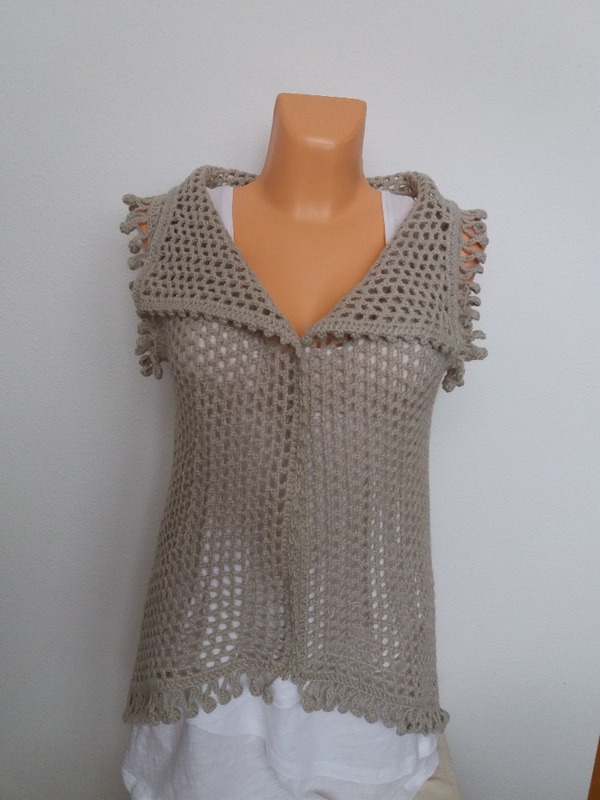 All last month I was crocheting a new pineapple vest and writing the pattern for it. 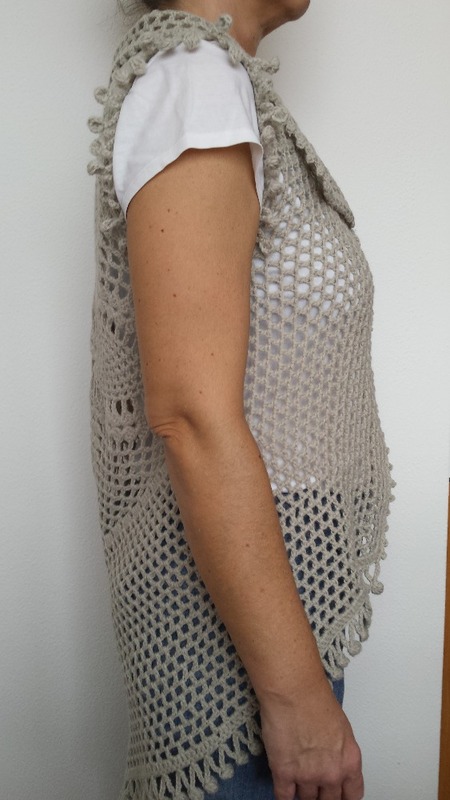 I like circular patterns very much, but it is hard sometimes to make the vest or cardigan to sit properly on the body. You have to make it loose so it is comfortable, but not too loose so it slips from the shoulders all the time. A Pentagon shape may be the solution for you. It definitely sat better on my body. 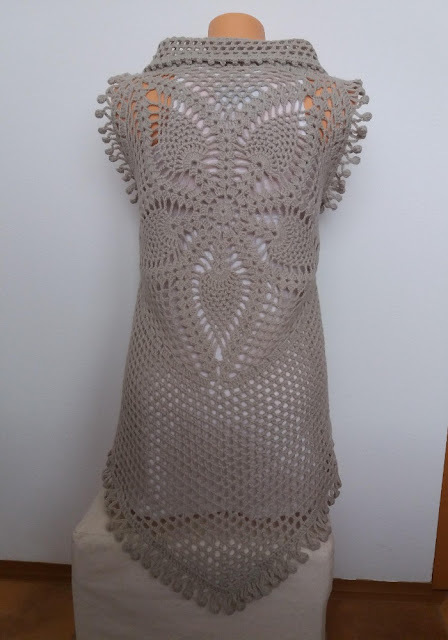 When I made it, I followed the pattern and it was much easier than actually designing and writing the pattern for it. But I think I got it finally the way I like it. What do you think? 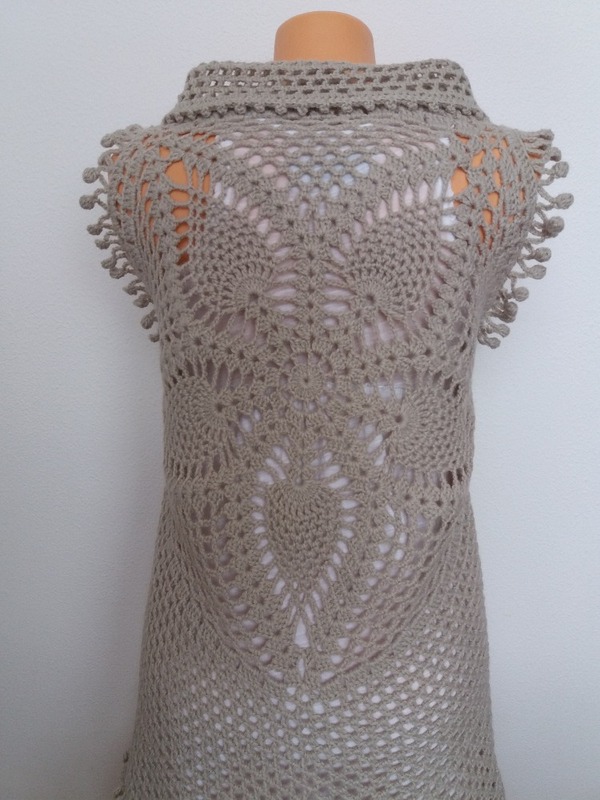 I’m confident the written pattern is suitable for a dedicated beginner as well. 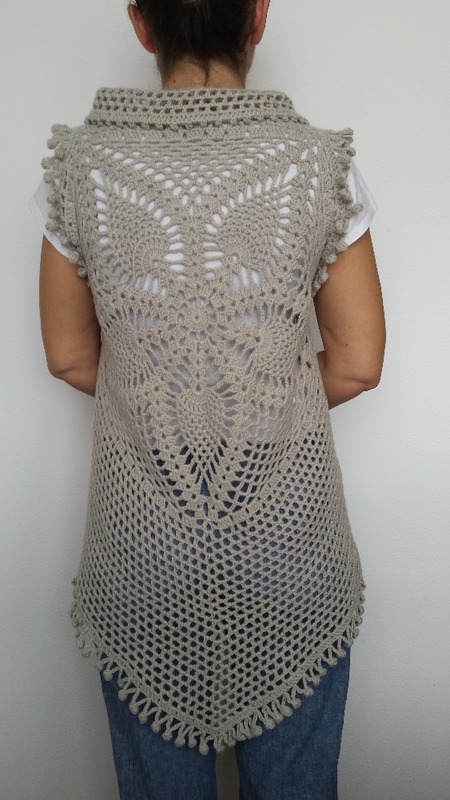 There are many pictures to help guide you through the crocheting, and supporting the written pattern for this vest.